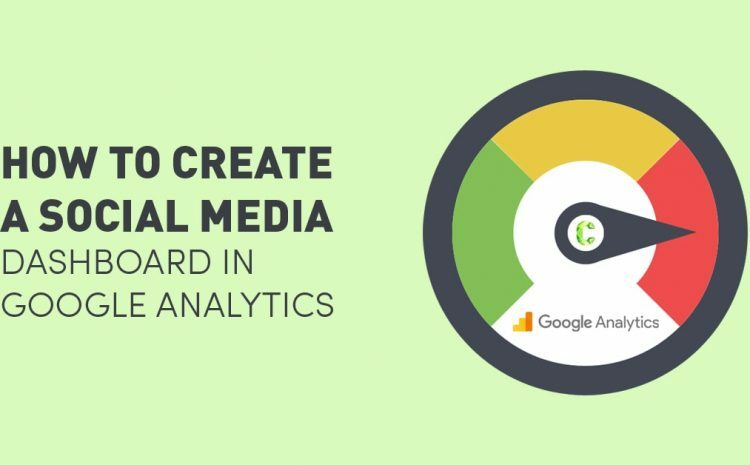 If you’re looking to quickly achieve key social media KPI’s, a social media dashboard in Google Analytics may be the next step for you. 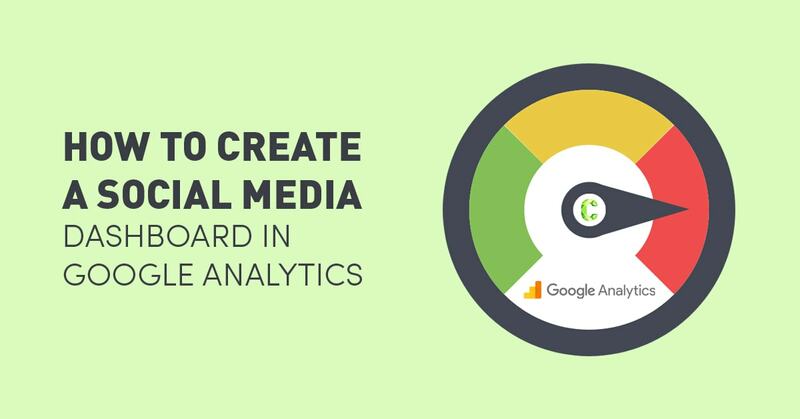 You will be able to distinguish the overall value of social media marketing by setting up a social media marketing dashboard within Google Analytics. When running specific ad campaigns on Facebook, Twitter, or LinkedIn, UTM Parameters will help you identify which traffic comes specifically from users clicking those ad links. UTM Parameters are tags that can be added to a URL you are sharing. For example, we had a Facebook advertisement for ‘Digital Marketing’, we would use the following URL in our ad. Use Google’s free URL Builder tool to create your UTM Parameter URL’s. This sample URL above will tell Google Analytics that the visitor came from Facebook through an ad for the Digital Marketing 01a Campaign. This information will be under Traffic Sources > Sources > Campaigns. UTM Parameters can help identify which social networks and ad campaigns drive the most amount of traffic, or which ads lead to the most website conversions. Make sure you’re following the same UTM Parameter format from campaign to campaign. Keep track of everything by maintaining a Google sheet, by referring to previous ad URL’s. Set it up by clicking Dashboard > New Dashboard. Select Blank Canvas, create a name your dashboard and select Create Dashboard. Every widget in this dashboard should filter out non-social media traffic. 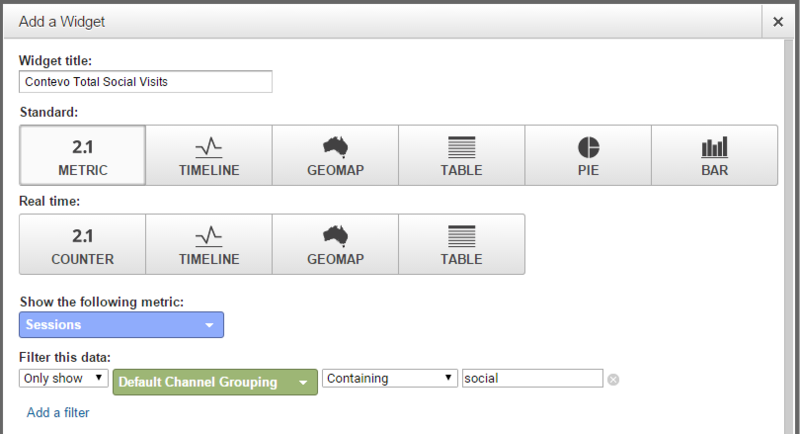 This is done by adding a filter which matches Only show + Default Channel Grouping + Containing + Social. 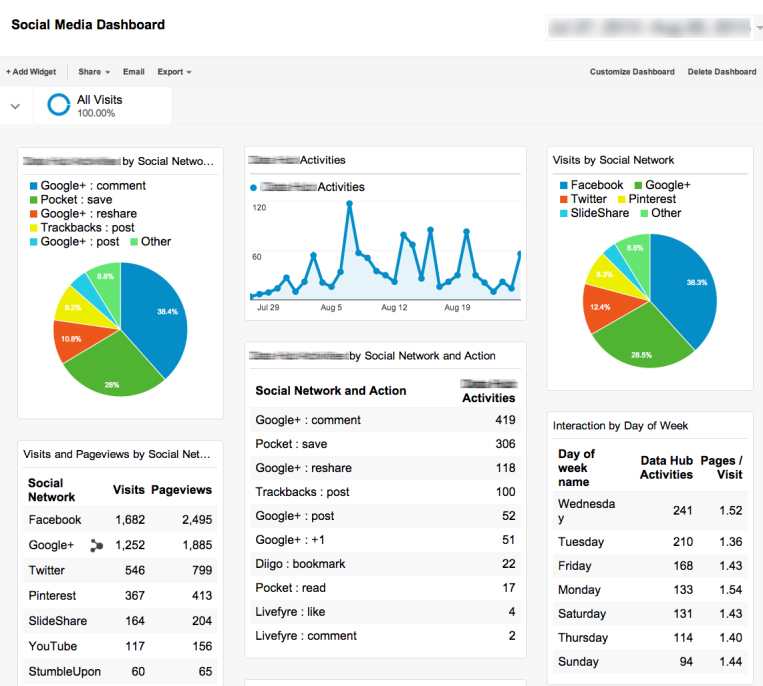 You can add widgets to track metrics important to your business operations. Recommended widgets include Conversions by Network, Time on Site by Network, Pages Per Session by Network, and New Visitor Acquisition by Network. At the end of the day, you will be able to strengthen campaigns and cater content for users by identifying what days work best for social media, your best performing social media platform, and which pages on your website are most shared. If you’re having trouble setting things up, feel free to contact us, we will happily help you out.